Iowa Wild issued the following announcement on Dec. 3. 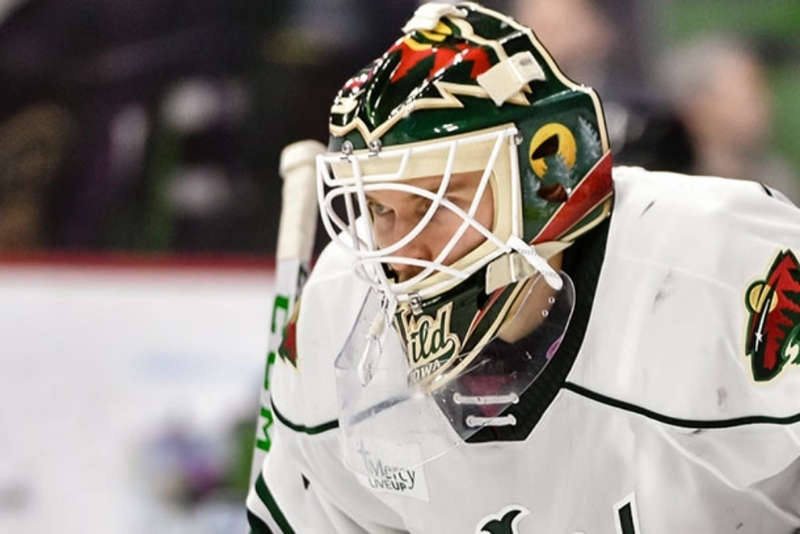 The American Hockey League announced that Iowa Wild goaltender Kaapo Kahkonen has been selected as the league’s CCM/AHL Goaltender of the Month for November. Kahkonen is the first player in Iowa Wild history to receive an AHL monthly award. Kahkonen allowed only 10 goals on 248 shots in eight starts during November, going 5-0-3 with a 1.21 goals-against average, a .960 save percentage and three shutouts. Kahkonen’s month included three consecutive shutouts and a franchise-record stretch of 222:22 without surrendering a goal. After making 29 saves in a 2-1 shootout victory at Rockford on Nov. 3, Kahkonen blanked Rockford on Nov. 7 (28 saves) and Milwaukee twice on Nov. 14 (20 saves) and Nov. 16 (38 saves). He stopped 31 of 33 shots in a shootout loss at Milwaukee on Nov. 21 and was the game’s first star – his fifth first-star selection of the month – with 34 saves in a 3-2 win at Manitoba on Nov. 24. Kahkonen will be presented with an etched crystal award prior to an upcoming home game in recognition of his achievement.